If your order weighs less than 13 ounces, save huge on shipping with USPS first class (with tracking number). This product weighs 4.5 oz. 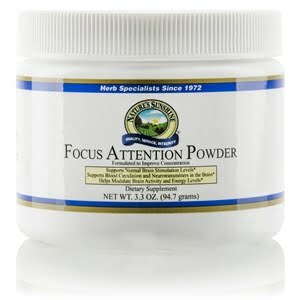 Nature’s Sunshine Focus Attention Powder helps support proper blood circulation, along with helping to stimulate the brain. 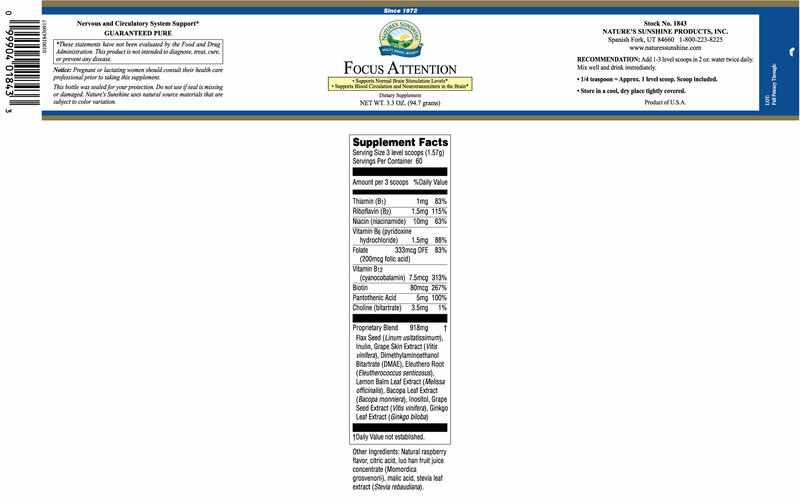 Focus Attention Powder contains Ginkgo biloba, DMAE, and Melissa officinalis, supplements that promote balanced brain activity. 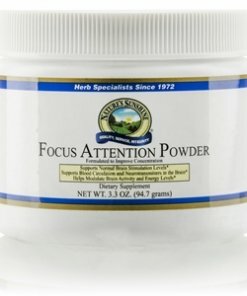 Nature’s Sunshine Focus Attention Powder contains flax seed, which promotes optimum results. Focus Attention also comes in capsule form.